Volkswagen AG plans to launch a car-sharing program called Quicar in Hanover, Germany. The project aims to benefit from the success of car-sharing schemes such as BMW AG's DriveNow and Daimler AG's Car2go and will be aimed at urban customers. The scheme will be launched in the third quarter, using 200 Golf BlueMotion cars available for pick-up and drop-off in 50 locations around the city. In the medium term, this number could reach 100 and other vehicles such as the Caddy and Beetle could be added to the fleet, VW said. Customers will be able to reserve a vehicle on the Internet, or via a call center, up to five minutes before the car is needed. They can then access the car using a chip swipe card before entering a PIN number inside the car to activate the ignition system. 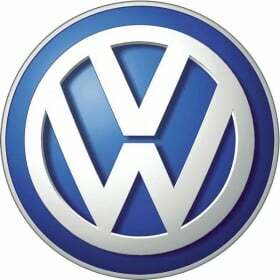 Christian Klingler, VW board member for sales and marketing, said the service will be aimed at private customers, students and authorities as well as commercial users. "Highlights of the project featuring our particularly efficient models include high vehicle availability and excellent functionality of the overall concept," Klingler said in a statement. All cars in the scheme will be fitted with navigation and entertainment systems and customers will be issued with a personal memory card, allowing them to save individual destinations or routes. No details on pricing have been given for Quicar. Car-sharing schemes are growing as some customers, especially young adults in urban centers, place much less importance on owning a car compared to previous generations, according to market researchers. Frost & Sullivan estimates that the number of people using car sharing services is expected to grow to 5.5 million in Europe and 4.4 million in North America by 2016. Volkswagen rival Peugeot established a car-sharing program called Mu in cities in France, Germany, Italy, Spain, the UK, and Belgium last year and will expand the service to most European cities with 300,000 or more inhabitants by the end of 2013 as it seeks to become a market leader. BMW currently is introducing a car-sharing scheme with Sixt, Germany's biggest car rental company, in Munich and Berlin that will be extended across Europe and possibly to the United States. The venture offers for BMW 1 series and Mini cars and aims to win 1 million customers by 2020. Daimler launched Car2Go in Ulm, Germany, and Austin, Texas, and expanded the scheme to Hamburg in April. Under the scheme drivers can rent a Smart ForTwo for short or long trips.